Today, Israelis and Palestinians gathered at an international exhibition of agriculture in the heart of Tel Aviv, in which the Civil Administration arranged participation for Palestinians in order to learn about cutting-edge agricultural technology to develop their businesses. 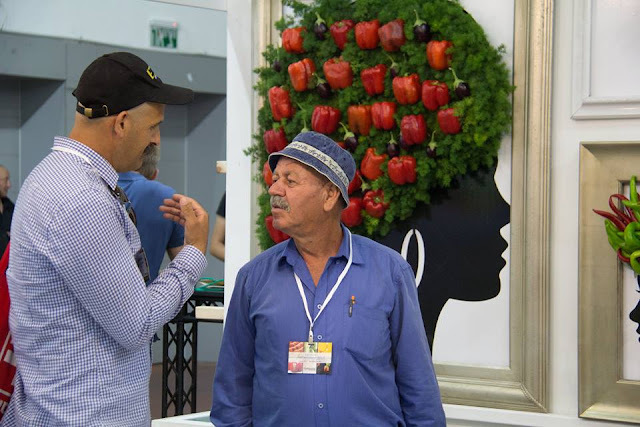 Here, an opportunity was presented to create ties with Israeli farmers, network with experts in the industry, and learn about advanced innovations in the agricultural market. About a thousand Palestinian farmers are helped every year by the efforts of COGAT - which is part of the IDF. This sort of thing flummoxes the boycotters. If a thousand Palestinian farmers are anxious to work with Israel on growing and marketing their goods, then don't they know what's best for themselves without having holier-than-thou hypocrites tell them to voluntarily starve for the cause?